Samsung Galaxy Note looks like the coming iPhone 5! Discussion in 'iPhone' started by dingclancy, Sep 1, 2011. It is larger but from the leaks posted here in MR, Samsung's offer looks uncanny in similarity, and they unveiled it first! I'm having trouble understanding how Samsung can fit a 5.3" screen into a case measuring only 110mm x 58.2mm. Pythagorean theorem seems to disagree with their figures. wow...I've got massive hands, but only normal sized pockets, too big for me. 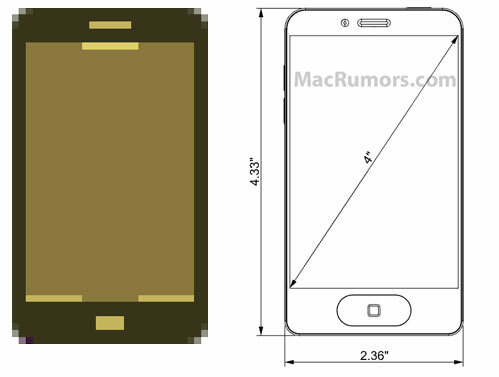 Do you think Samsung will sue Apple if the iPhone 5 looks like the Galaxy Note? Yeah this time Samsung suing Apple. They did unveil first. impressive. a 1280 x 800 WXGA Super HD AMOLED display. comes with a stylus too. this could be a game changer. especially when it eventually gets ice cream. unbelievable. WTF Samsung. They even copied Apple's traditional style of playing piano in their commercial. I think you probably could be right. We havent seen the 5 yet but based on the rumours an pictures we have seen there is quite a chance the 5 will look strongly like this with the tappered edges and all. By quite a margin too. If it was an edge to edge screen the maximum it could be would be 4.9 inches. And that's not including the corner radii. you are quite correct. Very interesting. Samsung does not seem concerned if they are going to introduce this! 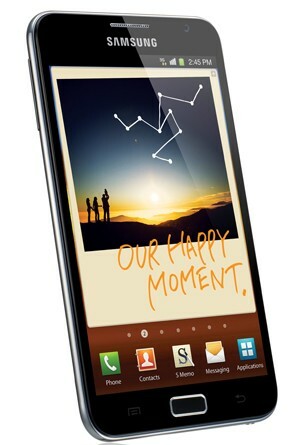 I had the original Dell Streak 5" phone for few months and would be interested in this. There are 2 problems I can see. One is the battery life, the Streak was terrible, I think Samsung needs to put in 2500mAh to get decent battery life on a screen that size. Second is Ice Cream Sandwich is coming out later this year without the physical buttons. Its a hard choice choosing this over newer phones designed based on the new OS. The measurements from the announcement are 146.85x82.95mm. I'm guessing they just put the size for a different phone there by mistake. 5.3 inch screen with a stylus. why would you want that on a phone? ?